Jonno Forman works with hedge fund and private equity fund managers, investment advisers, broker-dealers, and other financial services companies and their employees to respond to regulatory examinations and government investigations as well as to resolve complex disputes. Jonno has successfully guided companies and individuals through investigations by the Securities and Exchange Commission (SEC), the Department of Justice (DOJ) and the Financial Industry Regulatory Authority (FINRA), resolving many without charges ever being brought against them. 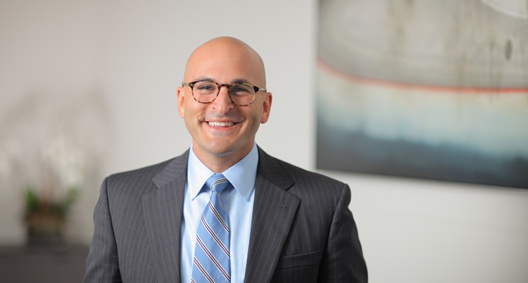 Jonno also advises clients with respect to their compliance programs and transactional due diligence relating to litigation, bribery, money laundering, and other legal and reputational risks, including compliance with the Cybersecurity Regulation of the New York Department of Financial Services (NYDFS). Guided a global pharmaceutical company through an SEC investigation of alleged insider trading. Achieved a no-admission settlement of an SEC municipal bond disclosure investigation of a state issuer involving extensive Wells process. No civil penalty or independent compliance consultant was imposed. Seconded to investment management client as in-house counsel working directly with General Counsel, Chief Operating Officer and Chief Compliance Officer on structuring foreign and domestic investment offerings, negotiating proprietary investments and seeding of emerging third-party hedge fund managers, and advising on various litigation and regulatory issues. Counseled registered investment advisers and broker-dealers in connection with routine SEC examinations by preparing executives for and representing them during regulatory interviews, supervising document collection and production, and guiding clients’ responses to the questions and concerns of the SEC’s Office of Compliance Inspections and Examinations (OCIE). Conducted an expedited internal investigation of a registered investment adviser involving coordination with law enforcement personnel, its auditor and the SEC, and devising and overseeing the implementation of remedial measures. No investigation was initiated by the SEC, and no charges were brought against the adviser or its senior management. Conducted an internal investigation of a global investment bank relating to a private equity offering. Obtained a no-admission settlement for a registered investment adviser in connection with an SEC enforcement action brought in federal court. Obtained a favorable FINRA settlement for a broker-dealer and its executives relating to its private-offering disclosures, sales practices and supervisory systems. No charges were brought against the senior management. Obtained a favorable SEC settlement for a foreign individual to resolve a microcap stock market manipulation investigation involving a Wells submission and expedited settlement negotiations. Guided individuals, including a hedge fund CEO, through various DOJ and SEC investigations of alleged insider trading. The investigations were terminated favorably for all clients. Guided a global investment bank through a DOJ investigation of a private equity investment. The investigation was terminated favorably for the client. Advised a global investment bank in connection with an SEC examination of its municipal securities business relating to parallel investigations conducted by various federal and state regulators. Represented a global investment bank in connection with various FINRA irregular trading inquiries. Advised financial services firms on federal and state cybersecurity regulations, including revising policies and procedures, drafting incident response plans, conducting tabletop exercises and training, and negotiating agreements with service providers. Obtained expungement of reference to FINRA arbitration proceeding from Central Registration Depository (CRD) records of broker-dealer’s top-performing financial advisors involving successful motion to confirm arbitration award in state court and negotiations with state financial regulator. Drafted policies and procedures for registered investment advisers, including with respect to whistleblowers, personal devices (BYOD), and personal trading. Drafted anti-money laundering (AML) policies for cryptocurrency funds, and advised on compliance with Bank Secrecy Act (BSA) and other AML laws and regulations. Drafted political contribution policy for asset manager to comply with federal and state pay-to-play rules. Conducted an internal investigation of a global investment bank relating to alleged misappropriation of trade secrets. Obtained an arbitration award for a real estate investment and finance company granting specific performance of a disputed joint venture agreement relating to a portfolio of Manhattan properties with an approximate value of $500 million. The representation involved extensive document collection, review and production; several depositions; and significant motion practice and hearings before the commercial division of the Supreme Court of the State of New York and Judicial Arbitration and Mediation Services (JAMS), including temporary restraining order (TRO) proceedings and a five-day trial before JAMS. Won summary judgment for a real estate merchant bank dismissing claims relating to a joint venture investment in a Chicago skyscraper. The representation involved significant motion practice and hearings, including TRO proceedings, before the Commercial and Appellate Divisions of the Supreme Court of the State of New York. Achieved settlement of parallel proceedings before the U.S. District Court for the Southern District of New York and the Commercial Division of the Supreme Court of the State of New York involving more than $30 million in creditor claims. Defend investment management firm and its senior management against trade secrets and other commercial claims brought in the Commercial Division of the Supreme Court of the State of New York. Beware the Ides of March – Is Your NYDFS Cybersecurity Compliance in Order? Defended the City of New York in depositions conducted in connection with a class action gender discrimination case. Obtained vacatur and dismissal of a half-million-dollar default judgment erroneously entered against an indigent client. Won asylum for a Nepalese democratic student leader who was persecuted by Maoist paramilitary groups. Represented indigent criminal defendants before the U.S. District Court for the Southern District of New York, including probation interviews and plea allocution and sentencing hearings. Advised the Rwandan government on the transition of cases from the International Criminal Tribunal for Rwanda to the court system in Rwanda. Advised an international nonprofit on trademark, information governance and corporate governance. Counseled various public interest and municipal groups on federal harboring laws.